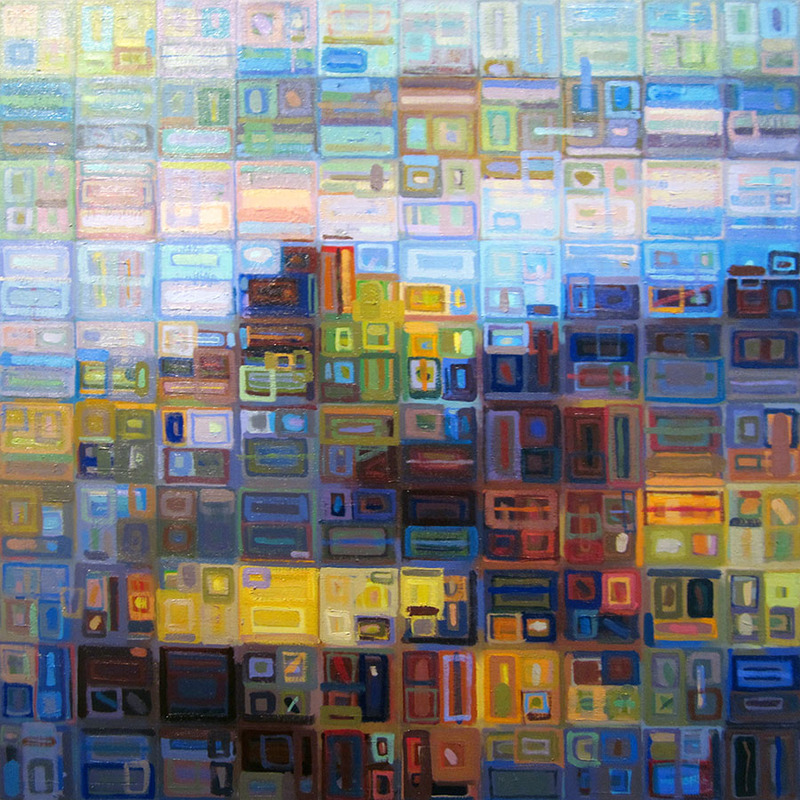 This entry was posted in California, Grid Work Paintings, Landscape Painting, Process and tagged abstraction, color theory, perceptual painting, process on May 22, 2013 by Joe Forkan. 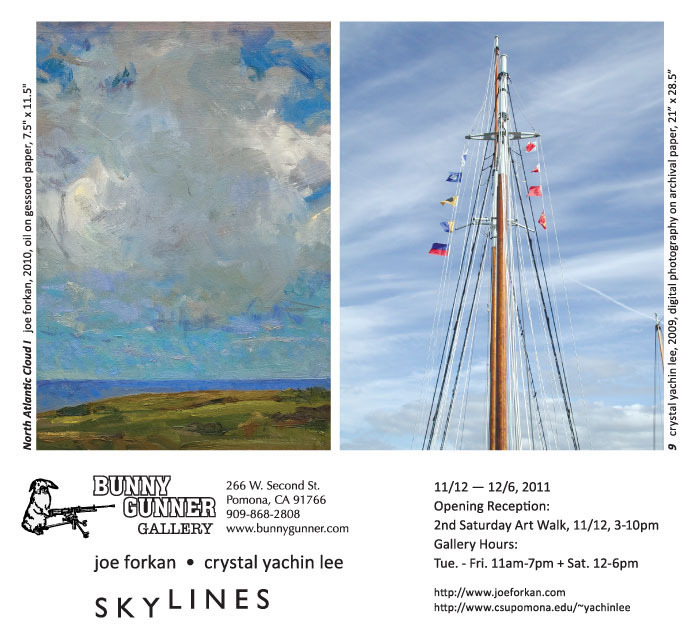 An exhibition of recent paintings by Joe Forkan and photography by Crystal Yachin Lee opens this Saturday at Bunny Gunner Gallery in Pomona, CA. This entry was posted in California, Exhibitions, Ireland, Landscape Painting, The Spurgeon Paintings and tagged Ballinglen Arts Foundation, Ballycastle, Bunny Gunner Gallery, California, contemporary, County Mayo, Crystal Cove, Crystal Yachin Lee, direct painting, exhibition, experiential, Ireland, Italy, Landscape/Cityscape, painting, perceptual painting, Pomona, skylines, • Spurgeon Paintings on November 8, 2011 by Joe Forkan. 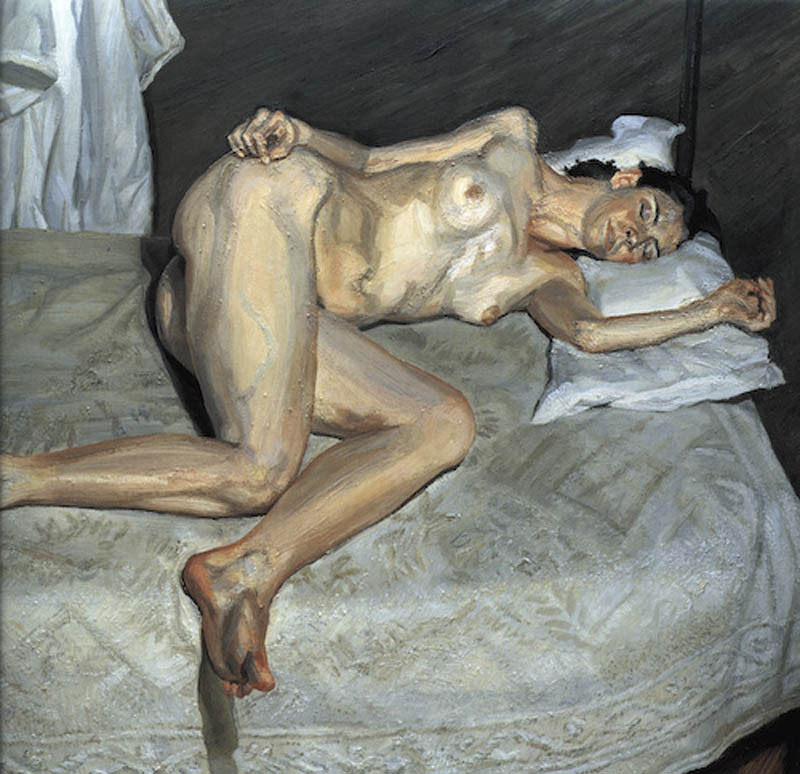 I was sad to hear that Lucian Freud passed away yesterday. 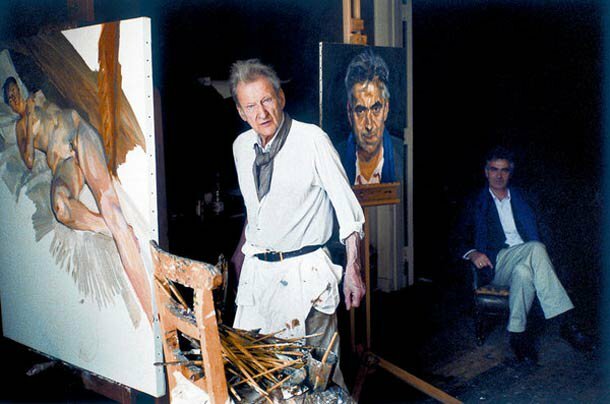 He was indeed one of the greatest contemporary figurative artists. The NY Times has published a great article about Freud by Michael Kimmelman here. 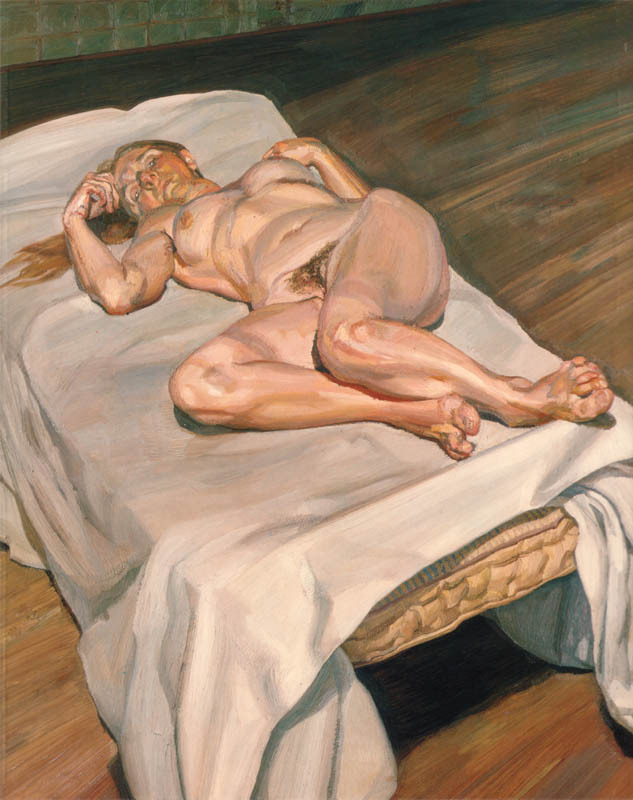 Freud’s paintings are puzzles and marvels, with their rich, layered, and reworked surfaces. 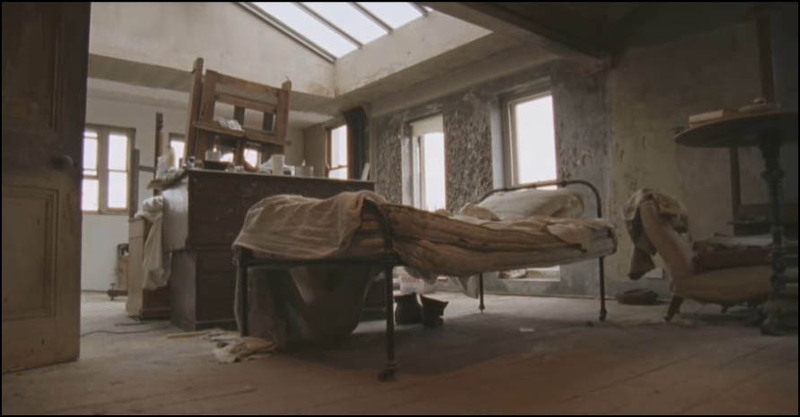 The product of an uncompromising vision and decades of hard work, Freud’s paintings need no external explication to be appreciated, but I think this clip from a short film called Small Gestures in Bare Rooms by filmmaker Tim Meara reveals some of the intensity of thought and feeling with which Freud approached his art. Tim Meara created the film over six months, interviewing members of Freud’s inner circle and re-staging moments from their stories as “silent portraits,” with a voiceover by the novelist Francis Wyndham. During filming the unthinkable happened—Freud agreed to appear on camera, prompted by the memory of the birds of prey he used to keep in his Delamere Terrace studio in the 40s. For half an hour, the painter allowed himself to be filmed walking along the canal in London’s Little Venice, a kestrel perched on his arm. The full version of Meara’s short was to be completed as a feature in time for Freud’s 90th birthday. The short was on view at the Pompidou Center, as part of the museum’s Freud retrospective. 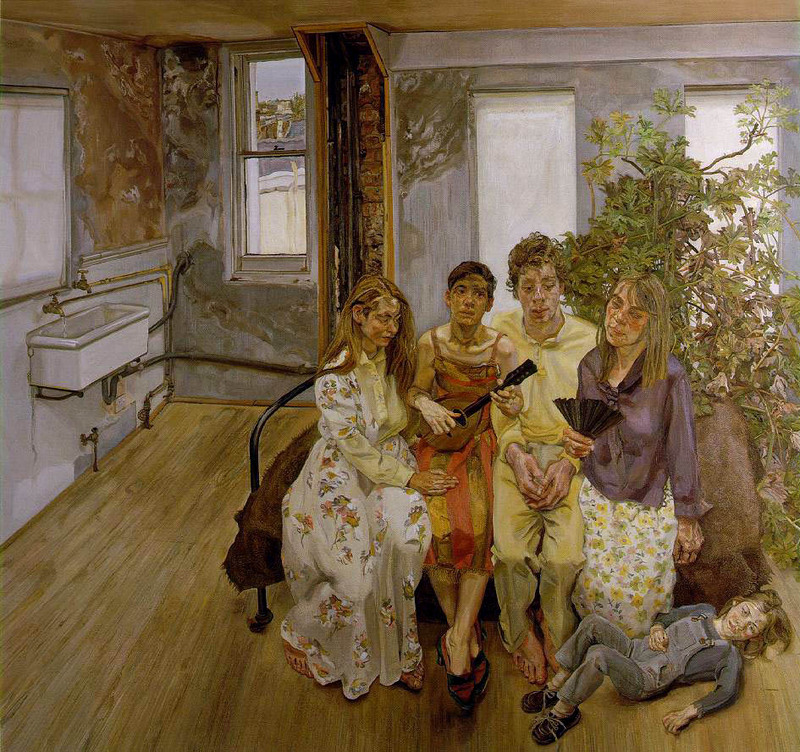 The first time I saw Freud’s work in person was in London in 1991. 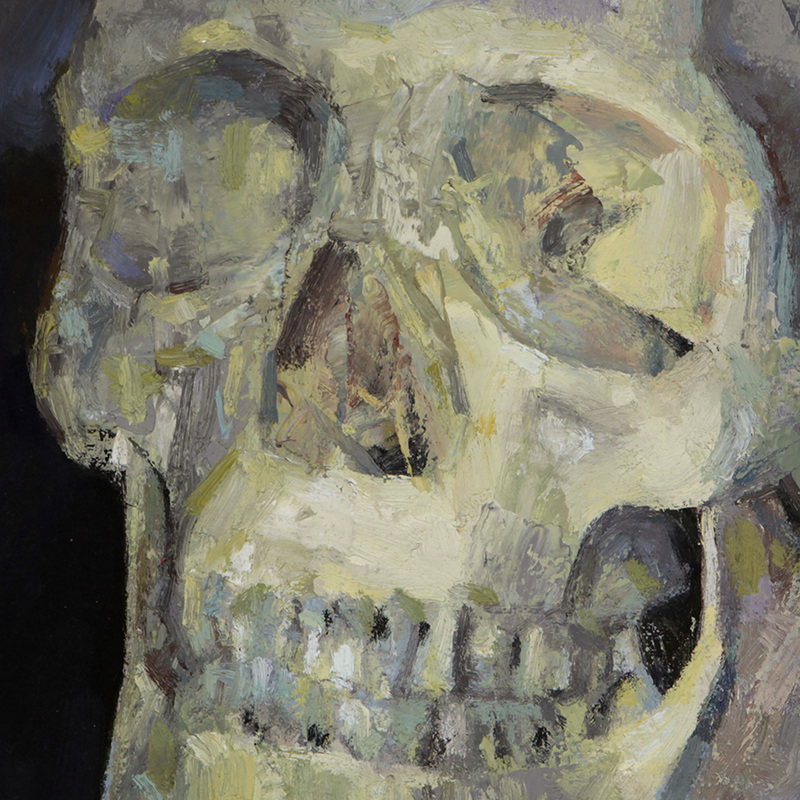 The shock of his paintings was in their physicality, presence, and power. 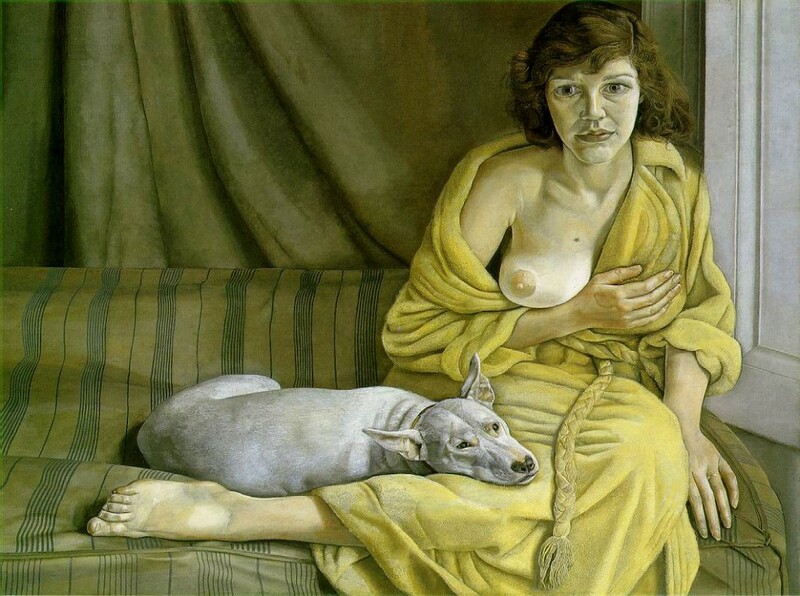 They are often heavy and oppressive, yet one is drawn in by the artist’s complete engagement with his subject – by the strangeness and the often tense, psychological dramas that exist in these seemingly simple subjects. A Freud exhibit was up at MOCA in Los Angeles in 2003 at the same time as a John Singer Sargent exhibition was on view at LACMA. I went to both shows on the same day – two different times, just to experience how differently two brilliant artists wrestled with what they saw, how they saw, what they chose to include and focus on in their work, and the methods they used to bring forth their visions. Sargent’s paintings seemed made of air, Freud’s of the heaviest earth. 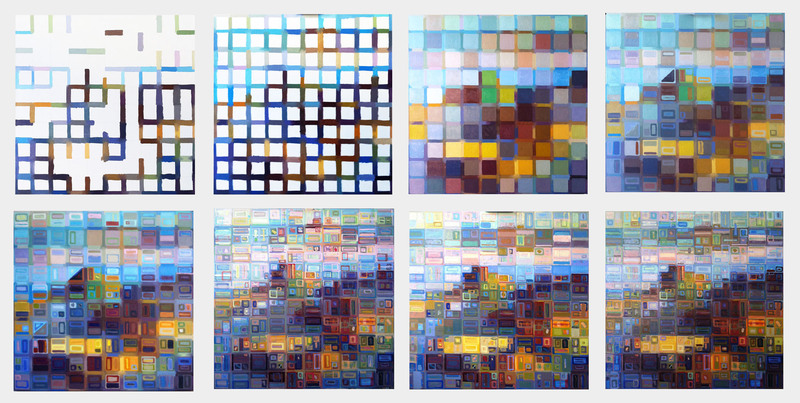 One of the things that I love about perceptually based painting, when done well, is the feeling that the artists are painting not so much what they see, but how they see what they see. And not in an abbreviated or cursory way. They are fully engaged. You can see the gears turning. You see the way that the world moves them. It takes artists of great ability to communicate that so strongly. Freud was one of them. 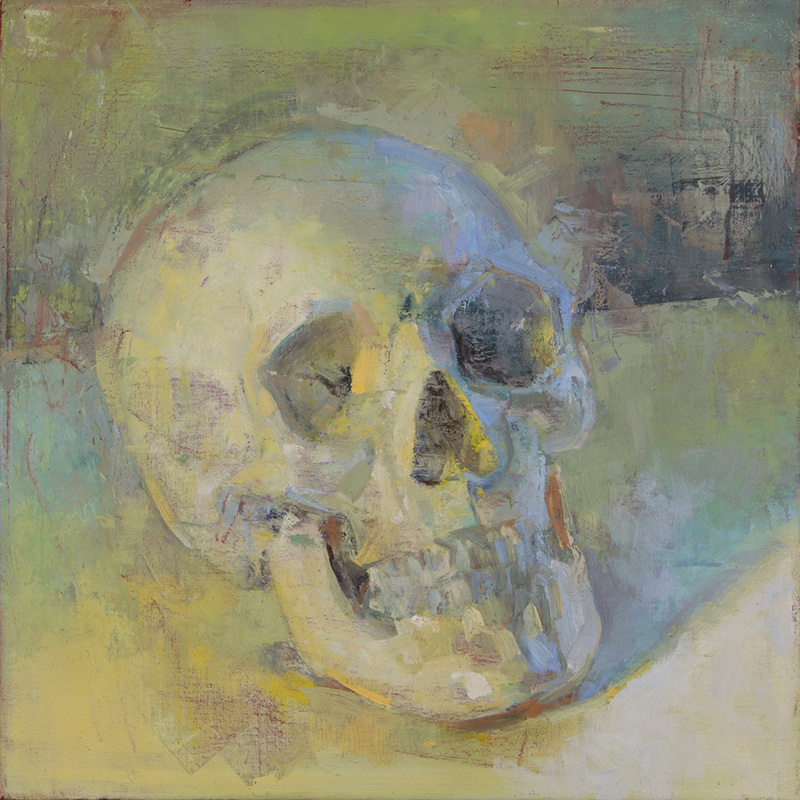 What do I ask of a painting? I ask it to astonish, disturb, seduce, convince. The painter’s obsession with his subject is all that he needs to drive him to work. 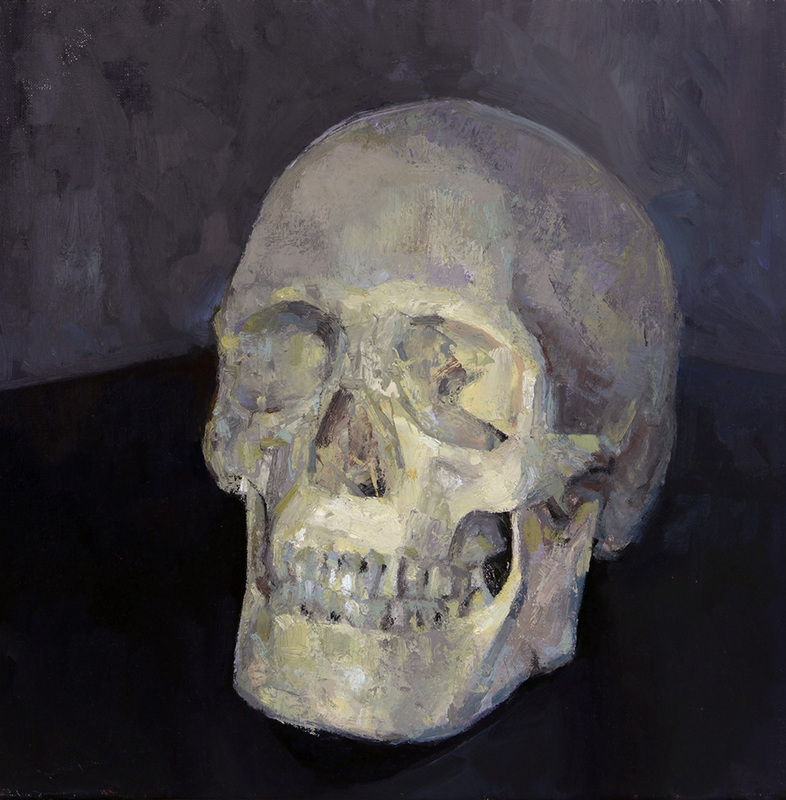 This entry was posted in Uncategorized and tagged David Dawson, Lucian Freud, Martin Gayford, Michael Kimmelman, New York Times, painting, perceptual painting, Pompidou Center, Small Gestures in Bare Rooms, Tim Mears on July 21, 2011 by Joe Forkan.